Fire Emblem is serious business. The series is not your typical Nintendo fair, a far cry from the light-hearted adventures of Link or the romp and stomp platforming of Mario. These strategy games are filled to the brim with complicated RPG systems, grueling battles, and dozens of characters, each with their own unique strengths and weaknesses. Just to cover all bases and make sure nobody who picks up the game gets the wrong impression, Nintendo has released a nice little video guide to lay out the core principles. The kindly soul narrating through the pain is gentle enough to keep the children watching at home firmly fixated on the flashy anime style graphics. Otherwise the complicated use of numbers will scare them away in fear, or they just plain won't get it. 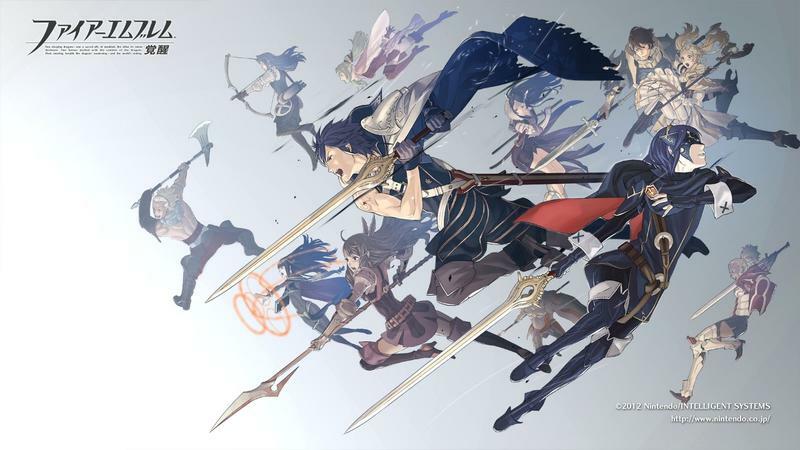 Fire Emblem: Awakening further strengthens the series' roots of establishing relationships between each member of the game's expansive roster. Getting them to interact and form bonds of love and friendship can lead to important statistical boosts when the two are close in proximity on the battlefield. These statistical boosts can help in a pinch, making all the difference between life and death for a prized character. Trust me when I say you'll need all the help you can get if you want your fighters to live to wage war another day. If you are a parent, be sure to know what you are doing before buying your child Fire Emblem: Awakening for the Nintendo 3DS on February 4th, 2013. They'll either hate you forever and never speak to you again, or they'll be sucked into this wonderful video game and probably never speak to you again. Your choice, really.